Simple and stylish, these dazzling stud earrings sparkle with elegance and feature stunning radiant-cut cubic zirconia that sits below a silver plated design encrusted with more sparkling cubic zirconia. These are a lovely addition to your modern, classic, or vintage-inspired wedding and can even be worn to prom or a formal event. 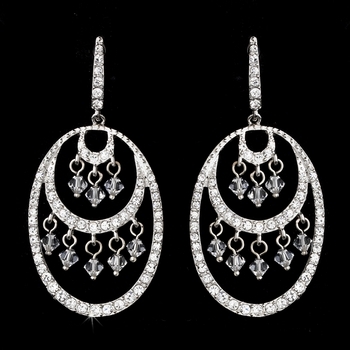 A stunning arrangement of dazzling clear cubic zirconia crystals glisten on these gorgeous chandelier earrings. These are a wonderful fashion accessory for brides, bridesmaids or even the prom queen! 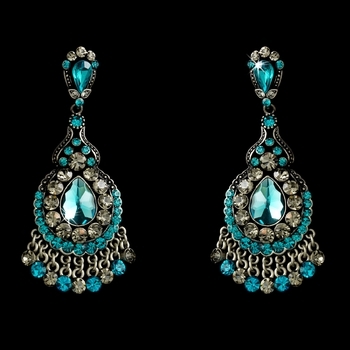 Antique silver plating and teal green rhinestones are arranged into a lovely dewdrop in these earrings. 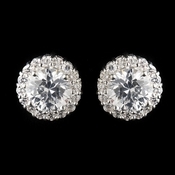 Modern and lovely, these earrings are perfect for your wedding, prom, or homecoming. Each measures 2 3/4" long. 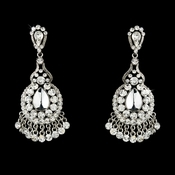 Silver plating and clear rhinestones are arranged into a lovely dewdrop in these earrings. 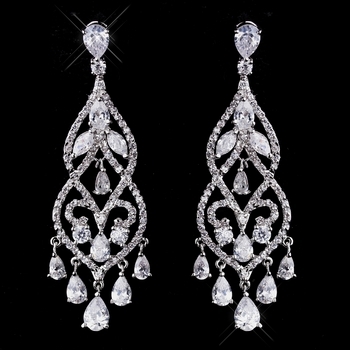 Modern and lovely, these earrings are perfect for your wedding, prom, or homecoming. Each measures 2 3/4" long. 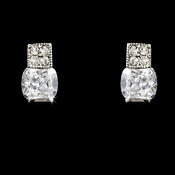 Silver plating and stunning clear rhinestones sparkle throughout this bridal earring set. Versatile, the set is a beautiful addition to your classic, modern, or vintage-inspired wedding. The earrings fall to a lovely 2 1/4". 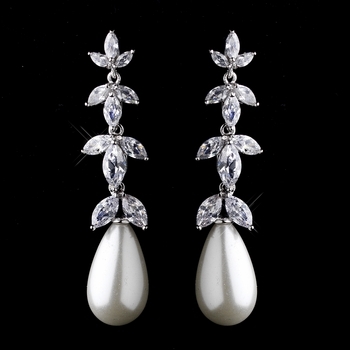 Beautiful and elegant this diamond white pearl earrings set is perfect for the classic and traditional inspired bride. Separated with beautiful silver plating with encrusted shining rhinestones this necklace and earring set is an absolutely stunning wedding accessory! Simple and elegant. 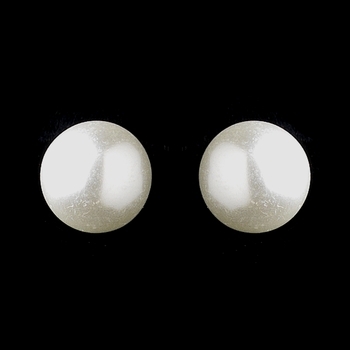 These small ivory pearl stud earrings are traditional and timeless. Perfect for your wedding day! 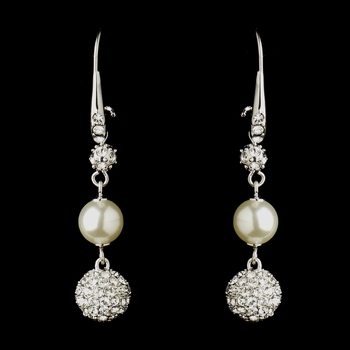 A beautiful silver tone setting encompasses breathtaking components of both Faux Pearls & Cubic Zirconias in this dangle style earring. This is an elegant addition to any formal ensemble, whether it be for a bride, her bridesmaids, or a guest of special occasion. For a touch of sophistication with an element of sparkle, this accessory has all the right features to illuminate your entire look. Earrings measure approximately 2" long x 1/4" wide.